The Cisco executive wheels keep churning. Today the person in charge of Cisco’s enterprise engineering organizations Robert Soderbery said he has left the company via a post on LinkedIn. The writing may have been on the wall for Soderbery who oversaw enterprise routing and switching, which didn’t fare well in the company’s recently announced results. In addition the company’s core enterprise business has been slowly transitioning to new products and directions like its Application Policy Infrastructure Controller (APIC) Application Centric Infrastructure (ACI) fabric as well as its Digital Network Architecture (DNA). Network World wrote of the significance of the DNA announcement earlier this year: Cisco’s DNA is a blueprint for building an enterprise network with virtualization, automation, analytics, cloud service management and programmability for ease of operation and management. It is delivered through Cisco ONE software licensing on a variety of Cisco platforms, and is anchored by the company’s APIC-Enterprise Module SDN controller, which has been slow to emerge from development and trials. As customers digitize their business operations "it's imperative to start this transition" to the DNA architecture, Soderbery said at the time. Soderbery’s move is also seen as the ongoing executive team still being crafted by CEO Chuck Robbins who has held the job for over a year now. In June, four Cisco executives who led “spin-in” ventures that became important parts of the company have resigned. The Engineers Mario Mazzola, Prem Jain and Luca Cafiero, and marketer Soni Jiandani, nicknamed “MPLS” left the company because of “a disconnect regarding roles, responsibilities and charter” after a new Cisco business unit was announced, according to an internal memo posted Monday by CEO Chuck Robbins and reported by IDG News Service. 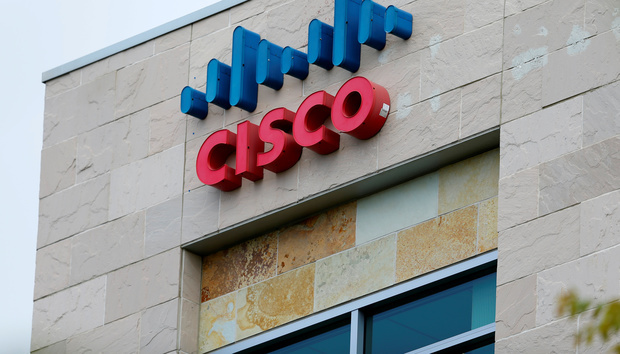 The four resigned after Cisco announced the formation of the Networking & Security Business Group, which will handle engineering for routing, switching and security products, the memo said. David Goeckeler leads that group and Jeff Reed Senior Vice President, Enterprise Infrastructure and Solutions is now running the Enterprise Networking group, Cisco stated. In March another big name executive left as well -- 18-year veteran and Service Provider leader Kelly Ahuja.